Father’s Day is the time of year to show your love and appreciation for your dad. Whether you are super close with your dad or there is some distance in between, showing how much you care is always a kind gesture. Father’s Day gives children (both big and small) that opportunity to say “thank you” when it often goes unsaid throughout the year. Whether you are celebrating your father or a father-figure, giving a thoughtful gift will strengthen your love and connection. Everybody appreciates receiving a gift that shows time and effort went into it. This article will give you ideas relating to father’s day dog gifts. It will give you ideas for your father who not only loves you unconditionally, but loves his dog too! If you have left the nest, your dad may have refocused his love on his four-legged friend. We all know the love your dad has for you will never diminish, but he needs something to fill the void after you have moved out or started your own family. Let’s face it, dad is a big softy! Even if he doesn’t always show it, all dads have a big heart when it comes to their children. Plus, dogs make great companions too! Does dad like to go fishing? Bring the dog out on the boat! Working out in the yard? Let fido run around out there too! Lounging on the couch watching some sports? Whether on the floor or on the couch, dad knows his dog will be right by his side. We accept it, most men have a man cave. So why not get dad a gift that you know he will make use of and look at every day? Our wooden clocks are perfect for dad’s man cave. The darker stain has a more masculine look and fits most men’s taste. 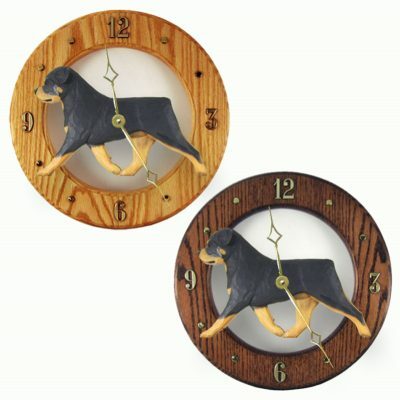 We have over 100 breeds available for our clocks so you will be sure to find a match to look like your dad’s dog. Our clocks also look great in a home or work office. They are made of wood so you can feel good about getting a father’s day gift that will be enjoyed for years to come. Every time your dad looks up at the clock, he will think of you. 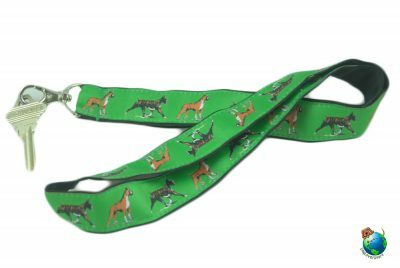 Our lanyards are one of our most diverse products. They are useful for so many different people and their jobs! So dad is a coach? Get him a lanyard to put his whistle on. Does dad work as a maintenance man or a manager? A lanyard is a great way to keep track of a bunch of keys. Name badges are required at many companies. Let dad hang his badge from his lanyard so he will never lose it or forget to wear it. Like we said, our lanyards make a great gift simply because they have so many uses. What’s better than a gift with a purpose? Whether it’s working outside to make the yard look flawless or hanging out on the patio, most dads like to be outside. We have a huge offering of Father’s Day gifts for the outdoor lover. Giving dad a gift to place where he spends the most time just makes sense! 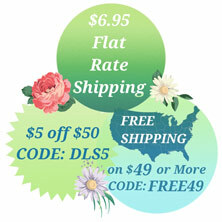 We have weathervanes that are beautifully hand made in the USA. 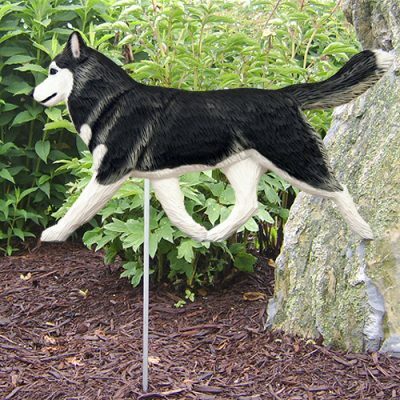 These aren’t just any type of weathervanes, they are for dog lovers of course! With over 100 breeds available, they feature dad’s favorite dog. So if your dad likes outdoors, these would be absolutely perfect for him. We also have dog figurines with stakes on them. These are perfect for dad’s who have a big garden. We know so many men who like to grow crops but those pesky animals always seem to sneak in and munch away on those freshly grown veggies. Our staked figurines are in the shape of a dog and they are hand painted. You can stick them into the ground near your garden to help deter animals like squirrels, crows, and groundhogs. 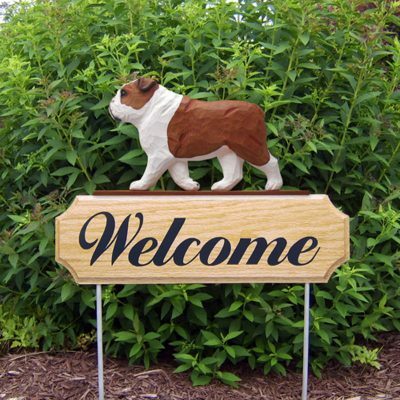 Our welcome signs are great for dad’s who take pride in their house and landscaping. Dad can proudly display the love he has for his dog while greeting guests that come to visit the house. Our welcome signs are also made in the USA and they are made of wood so they are super durable and can withstand the weather. Plus, the wood grain texture adds that extra bit of masculinity for dad. The coolest part about these welcome signs is that they are customizable! Instead of the sign saying “welcome” you can make the sign say whatever you’d like up to 12 characters. Many of our customers like to put their family’s last name but you can get creative with it! Put a funny saying that just you and dad would understand. Or you can put your dad’s favorite football team, like “RamsFanZone”. Our pewter key chains are great for any size wallet! Not everyone likes to go big on Father’s Day. Many people just like to get their dad something as a little reminder that are thinking of them. 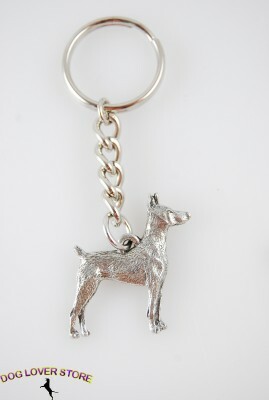 Our pewter key chains do just the trick! The dark pewter has a more masculine look that oxidizes over time. The longer your dad has the key chain, the darker and more detailed it will look. We have over 98 breeds available so you can find your dad’s favorite breed! Everyone has keys, so why not jazz them up a little bit with a key chain. We know most dads like to kick back some beers but there are plenty of wine-o dads out there too! Our wine racks are made of solid wood. 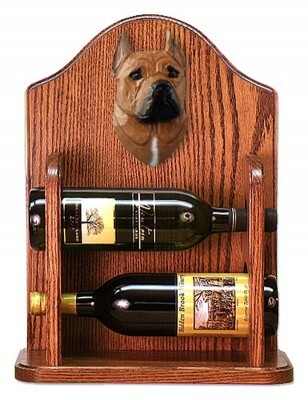 Choose the dark stain option to give the wine rack a handsome look, just like dad! These wine racks look great in any man cave, home bar, wine cellar, kitchen, or dining room. Pick up 2 or 4 bottles of dad’s favorite wine and gift them with one of our wine racks for Father’s Day. Offered in over 100 different breed styles and colors allows you to match one up to dad’s favorite dog. 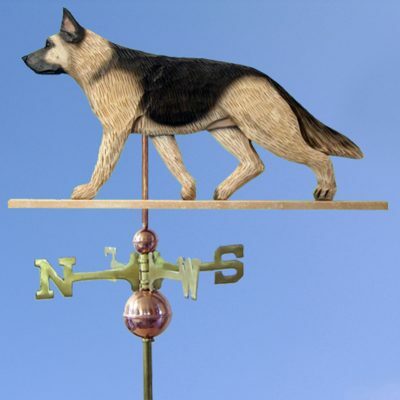 Our weathervanes are an investment piece for sure, but they will be a gift dad will love for years and years to come. Hey, let’s say you forgot to get dad a gift for his last birthday. Now that you think about it, you forgot to get him a Christmas gift too! Well make our weathervanes a combo gift to cover his birthday, Christmas, and Father’s Day and now you’ll be all squared up with gift duty. Our weathervanes make a beautiful gift for summer homes by the water. Get one to place on dad’s house to remind him of one of his favorite Father’s Days! Also available in over 100 different breeds. We know dad’s have different jobs, hobbies, and tastes! So not every dad is going to like, or have use for, the same generic gift (forget that wallet or tie you get him every other year!) Think of what your dad likes to do and then think of a gift. 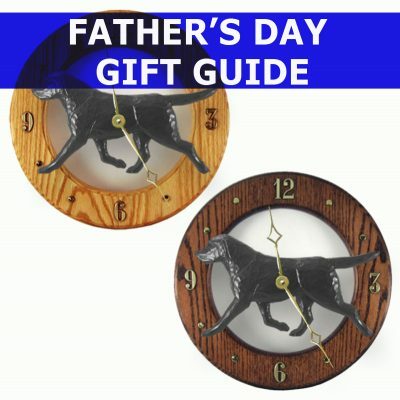 And if your dad loves his dog, he will love any of our suggested Father’s Day gifts! Plus, shopping at Dog Lover Store, you don’t have to break the bank this year! All of our top Father’s Day gifts cover a variety of price points. We offer one of the largest varieties of breed options. Not only do we have over 100 different dog breeds but we also offer a variety of styles. Dogs have different coat colors, eye colors, markings, and coat styles. We strive to offer a huge selection so you can find the perfect gift for your dog-loving dad this Father’s Day!